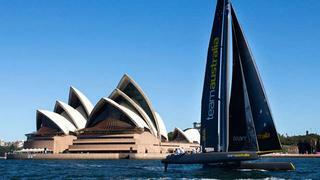 The America’s Cup world is left stunned by the withdrawal of Team Australia and Hamilton Island Yacht Club from its intention to compete in the next edition of the Cup in summer 2017. Having been the first to challenge Oracle Team USA when the Americans successfully defended the Cup on San Francisco Bay last September, the Australian team formed by wine magnate Bob Oatley and his son Sandy became the official [Challenger of Record](http://). As such, the Australians have spent the last six months locked in intense negotiations to hammer out a Protocol – a mutually-agreed set of rules – with the American Defender. The 35th America's Cup Protocol was published at the beginning of June, when Team Australia’s chief executive Iain Murray said he believed the document was one of the fairest ever conceived in the long history of the event. So it is baffling how the team that helped determined the direction of the next edition is now pulling out just seven weeks later, and seems to settle in the realms of financing. This is the third consecutive America’s Cup where the Challenger of Record has failed even to get off the ground, let alone put a boat on the start line. The system needs to change. Although we won’t know for sure until the entry deadline of 8 August, the challenger teams still looking likely for 2017 are Artemis Racing from Sweden, Luna Rossa from Italy, Ben Ainslie Racing from Great Britain, and Emirates Team New Zealand, with a slim possibility of entries from France and China. The America's Cup Event Authority is still working to select the host venue for the 35th America's Cup and aims to announce the venue in October.